SOMETIMES silence speaks louder than words. 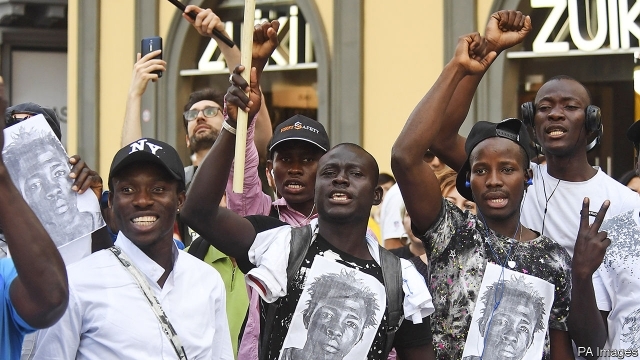 Italy’s interior minister, Matteo Salvini, did not utter a word of condemnation of the murder of Soumaila Sacko, a 29-year-old Malian trade unionist, on June 2nd. Mr Sacko was campaigning to improve the miserable conditions of thousands of African day-labourers who pick fruit and vegetables in Calabria, the “toe” of Italy. Some, like Mr Sacko, are legal residents. Others are not. Mr Sacko was helping two other immigrants find metal sheets to use as roofs for their shacks when a man opened fire from a car. It was left to the prime minister, Giuseppe Conte, to express his condolences three days later in a speech asking the Senate for a vote of confidence in Italy’s new, populist government (he duly obtained the backing of the upper house and, on June 6th, that of the lower house, the Chamber of Deputies). Mr Conte, a law professor, belongs neither to the Northern League, which Mr Salvini leads, nor to the Five Star Movement (M5S), the senior partner in the coalition. He was originally proposed by M5S, and his somewhat more sensitive approach reflected differences between the two parties over immigration that could yet undermine their collaboration. No sooner had Mr Salvini been sworn in than he was proclaiming his eagerness to kick out the 500,000-600,000 immigrants who are reckoned to be living without authorisation in Italy. “The good times for illegals are over,” he declared. “Get ready to pack your bags.” The NGOs who save migrants from drowning in the Mediterranean and land them in Italian ports (so far with the full permission of the Italian authorities) he branded as “substitute people-smugglers”. And he announced that immigrants who are refused humanitarian protection would henceforth be shut into closed encampments. That sort of talk has helped to push the League’s poll ratings up to 26% from less than 18% at the general election held on March 4th. But it can be counter-productive. On the day that at least 60 migrants, most of them Tunisians, drowned trying to reach the Italian island of Lampedusa, Mr Salvini claimed Tunisia “often and willingly exports convicts”. The government in Tunis summoned the Italian ambassador to convey its “profound astonishment”. It is true that in the year to June 6th, Tunisians made up the largest national contingent among migrants reaching Italy, accounting for 21% of the total. Two factors, however, explain that. A controversial deal made by the previous government in Rome with the UN-recognised administration in Libya, and allegedly with some of the country’s powerful militias, has drastically reduced the flow of arrivals via Libya. The overall number of migrants reaching Italy this year has fallen to 13,768 from 61,201 in the same period last year. Meanwhile, the number of Tunisians ready to risk their lives to seek work abroad because of the economic crisis in their country has risen sharply. But Mr Salvini appears to have believed a rumour that the increase was due to an amnesty (in reality, an annual pardon that led to the release of only around 400 prisoners). One reason that Italy cannot expel its illegal immigrants is that most of their countries of origin refuse to have them back. Mr Salvini said that he intends to negotiate more repatriation agreements. Italy has more than 20 of these, but Mr Salvini’s ill-judged words have jeopardised one of the few of them that works. So far in 2018, Tunisia has taken back 1,224 of its citizens. Mr Salvini’s blunder signalled a looming doubt: whether poor countries of origin will be any readier to co-operate with the leader of a xenophobic, hard-right party than they have been with previous, moderate Italian governments. In his speeches to parliament, Mr Conte vowed to lobby for new EU rules on immigration, including the “compulsory and automatic” distribution of migrants from Italy to partner states. But the latest attempt to hatch a deal, at talks in Luxembourg, was failing as he spoke. Mr Salvini has mooted an alliance with Hungary. Yet it is the government of Viktor Orban and others in eastern Europe that constitute the main obstacle to a compromise. Paradoxically, Mr Salvini may get a more receptive hearing further west in countries that are the ultimate destination of many of the migrants crossing the Mediterranean. The prospect of a government in Rome keen to tighten border control should be welcome there. Austria’s interior minister, Herbert Kickl, a member of the right-wing Freedom Party, greeted Mr Salvini as an ally. 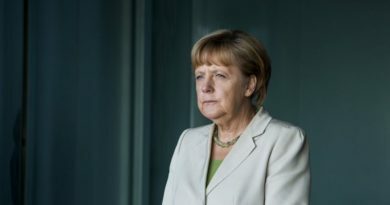 More significantly, Germany’s chancellor, Angela Merkel, took a more sympathetic line than before in an interview in which she said Italians had felt left alone to cope with the migrants who began to pour out of Libya after the fall of its late dictator, Muammar Qaddafi, in 2011. Her remark did not go unnoticed in Italy. Sometimes words speak louder than silence.